Stay warm in style with the Cocoa Cashmere zip side jumper. 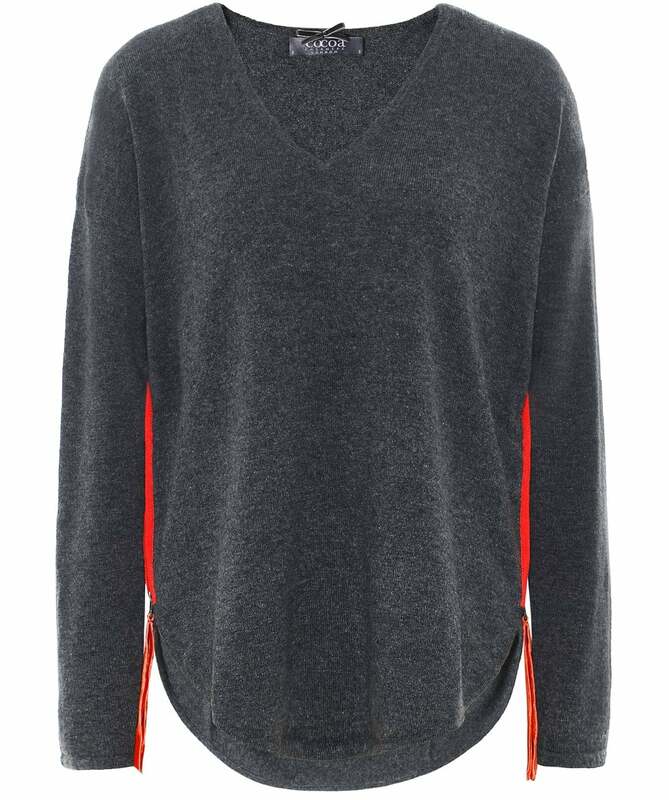 Expertly crafted from super soft cashmere, this luxurious sweater is a cosy option to wear in cooler weather. Featuring a flattering V-neck, dropped shoulders, ribbed trims and zip sides with contrast trims and velour zip pulls for a quirky designer touch. Wear yours with relaxed trousers for a cool laid-back look.